Op-ed: Contrary to the perception of many, when it comes to the defensibility of the skies above Israel, seconds really do count. Despite all of the technological advantages we enjoy, the triple factors of geography, topography and territory must not be overlooked. From an air defense perspective, those who disregard such considerations are acting in a manner that will prove deeply unwise. In recent months, several senior security experts have expressed support for an alternative to Israel’s status quo with the Palestinians. The plan, known as the New State Solution, proposes joining a coastal section of the northern Sinai Peninsula to the territory of Gaza, forming an expanded Palestinian state to the south of Israel. Irrespective of the political dimensions of this proposed configuration of Palestinian sovereignty, as the immediate past Commander of Israel’s Air Defense Forces, I see distinct advantages in such a plan from the perspective of air defense. Every mile of air space under Israel’s control contributes to our reaction time. We are a small country lacking strategic depth. To understand the value of a mile to air defense, we do not need to look beyond events of the last week, which demonstrate the kind of time frames our air defenses are afforded. Some weeks ago, two missiles fired by ISIS in Syria landed in Israel’s Sea of Galilee. Within seconds of recognizing their trajectory, a decision had to be made whether to intercept the missiles or allow them to impact harmlessly in the water, reportedly within fifty meters (150 feet) of the shoreline. Just one day prior to that, a Syrian fighter jet, taking off from the T4 Airbase in central Syria approached the Golan Heights at high speed and flew a mile into Israeli airspace before being downed by Israel’s air defenses. The decision to shoot down the plane had to be made and acted upon in the few short seconds it takes for a fighter jet to traverse a mile at high speed. The day before that, Israel activated its David’s Sling missile-defense system for the first time in its operational history, in order to fire at two Syrian surface-to-surface missiles which were calculated to impact within Israeli territory. Though the Syrian missiles ended up falling short and impacted within Syria, Israeli Air Defense forces had only moments to assess what actions were needed, and to react decisively. Israel possesses remarkably advanced air defenses, but it is crucial to understand that there is a limit to how much technology can compensate for a lack of strategic depth. In the context of Israeli air defense, geography, topography and territory matter. It is for that reason that maintaining Israeli air defense control over our skies is vital. Reducing the territory under our air control means reducing Israel’s protective envelope over an already narrow strip of land. In this context, when discussing alternative security configurations relating to our conflict with the Palestinians, I would consider the expansion of Palestinian territory along Israel’s southern border, as in the New State plan, because it does not reduce Israel’s strategic depth. Expanding the territory of Gaza into Sinai would not negatively compromise Israel’s control over the high ground. 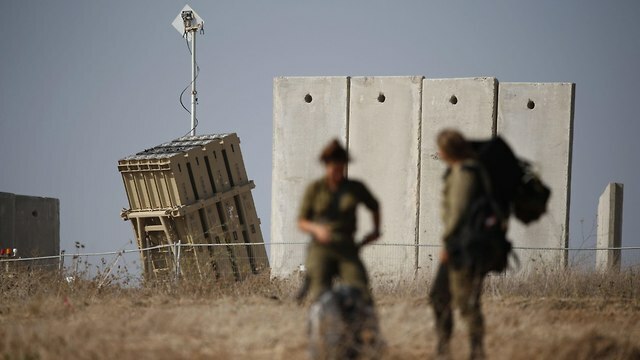 Both Gaza and the northern Sinai are situated on the coastal lowlands, with Israel retaining the strategic benefit of the Negev highlands, so a Gaza Sinai plan presents an air defense advantage in the case of airborne attacks launched toward Israel. By contrast, the Palestinian population of Judea and Samaria (The West Bank) sits on the mountainous ridge overlooking Israel’s populous central coastline. Millions of Israelis live and work in that coastal area. A Palestinian state perched atop the West Bank high ground would render Israeli territory and citizens exposed. A Palestinian State in the hills surrounding Jerusalem, Hebron, or Samaria could cause harm to the cities of central Israel and could target our strategic sites. Israel’s Ben Gurion International Airport could be exposed to weapons such as shoulder-fired missiles targeting aircraft during take-offs and landings from the nearby Samaria hills. On their landing routes, many aircraft also fly near Route 6, which straddles Samaria, bringing them even closer to potential enemy fire in the event of Palestinian control over this topography. The Jerusalem Hills are up to 3,000 feet high. Israel’s presence there enables early detection of long-range threats coming from our eastern flank, including airborne attacks from as far away as Iran. These same hills grant Israel aerial control to the west, and any threats emanating from the direction of the Mediterranean. Palestinian control of the Jerusalem hills would expose Israel to a widened variety of projectile attacks. During Israel’s 2012 Operation Pillar of Defense and 2014 Operation Protective Edge, short-range mortar fire from Hamas in Gaza killed Israeli civilians and soldiers and caused significant migration of Israeli residents out of the area adjacent to Gaza. Today, we bear witness to the advent of improvised fire kites launched by Gazans to indiscriminately set fires wherever they land, causing significant damage to open areas, including agricultural fields and woodlands. While the areas of Israel closest to Gaza are sparsely populated, the opposite is true when it comes to Israel’s central region which is located in proximity to Judea and Samaria. For example, the Palestinian city of Tulkarem is less than nine miles from the major Israeli city of Netanya. Should Palestinians control Judea and Samaria, these areas and more beyond them would be under immediate risk, not just from fire kites, but all manner of airborne attacks, including short-range enemy fire. Extending the Gaza Strip into part of the Sinai would not reduce Israel’s limited strategic depth. 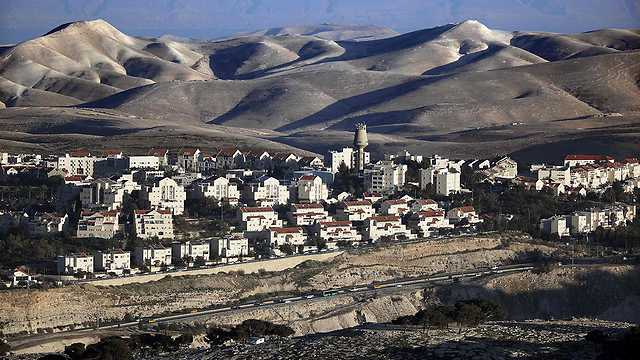 Israel would not cede control of the high ground losing its topographical advantage. Israel would not shorten the distance between belligerents and the Israeli populace. If the political will for the New State plan can be garnered, I would not oppose it from an air defense perspective. If the people of Gaza would benefit on a humanitarian basis, I would consider that a positive outcome for both the Palestinians and Israel. Bringing stability to Sinai and Egypt would be a boon for Egyptians, the region and the world. This entry was posted on September 26, 2018 at 7:13 AM and is filed under Uncategorized. You can subscribe via RSS 2.0 feed to this post's comments. You can skip to the end and leave a response. Pinging is currently not allowed.